Dr Goyal is a graduate of Gujarat University (1991) from Ahmedabad, India. He did his Masters in Orthopedics (1995) from Sheth KM School of Postgraduate Medicine & Research, India. He is also Diplomat of National Board in Orthopedics, New Delhi since 1996. He is a fellowship trained ‘Cartilage, Knee Arthroscopy and Sports Knee Surgeon’ and his training was at various centers in UK, France, Spain, Sweden and Hungary. His fellowship included training under some of the leading Knee Surgeons of the world like Prof Lars Peterson, Prof Mats Brittberg, Dr George Dowd and Prof Laszlo Hangody etc. Dr Deepak Goyal is President and also the founder of Indian Cartilage Society. He had served as Board Member of International Cartilage Research Society (ICRS) from 2009-2010 and now has again beenre-elected to 2015-2017 board. During his earlier tenure in ICRS, he contributed actively in ICRS restructure committee. He was also Chairman of an ICRS committee, called Committee for Developing Regions. 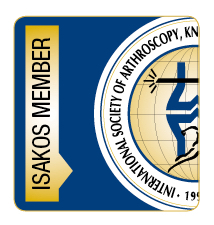 Dr Goyal was also appointed as member of Cartilage Committee of European Society of Sports Traumatology, Knee surgery and Arthroscopy-ESSKA from 2010-2012-2014. Recently he has been elected as Chairman, fellowship committee of International Cartilage Research Society (ICRS). He also served as Governing Council member of Indian Arthroscopy Society. He was selected for ESSKA Arthroscopy Scholarship in 2005, and then for ESSKA Arthroplasty Fellowship in 2009. He was also winner of Dr K P Shrivastava National Gold Medal by Indian Orthopedic Association for his study on Cartilage Regeneration in 2005. He also won ‘Best Paper Award’ and ‘Best Poster Award’ of Indian Arthroscopy Society in 2008 for his study on “MPFL reconstruction using superficial slip of quadriceps tendon’ and for ‘Midterm results of combined Microfracture and HTO surgery for early osteoarthritis’ respectively. He was Chairman of Scientific Committee of 8th Annual Congress of Indian Arthroscopy Society. He was also Chairman of 1st Congress of Indian Cartilage Society, held in 2011 and then Chairman of 1st congress of Asian Cartilage Repair Society held in 2013. In 2014, he was selected for the prestigious fellowship of American Orthopedic Society of Sports Medicine as APKASS-fellow (Asia Pacific Knee Arthroscopy and Sports Medicine Society). He is presently involved in private practice and owns a Knee Clinic, “Saumya: Center for Advanced Surgeries of the Knee Joint”, at Ahmedabad, India. His active interests are in Cartilage, Patellofemoral Joint and sports knee injuries. Presently he is working on various projects related to these areas. He has published many research articles in various reputed journals like Arthroscopy, KSSTA, ESSKA Book and American Journal of Sports Medicine. He is reviewer for American Journal of Sports Medicine, Orthopedic Journal of Sports Medicine, Arthroscopy and Indian Journal of Orthopedics. He also represents Indian Arthroscopy Society as Editorial Board Representative to Orthopedic Journal of Sports Medicine. He also served as jury for the prestigious Hughston Award of American Orthopedic Society of Sports Medicine in 2014. He has been invited as faculty worldwide to countries like USA, Japan, Spain, Switzerland, Norway, Netherlands, Hungary, Korea, Singapore, Iran and Pakistan etc and has contributed to many prestigious international associations like ESSKA, ISAKOS, ICRS, APKASS, ACRS, JOA, JOSKAS, JSRM, SOA, IAS, ICS etc. He has presented more than 170 research papers and presentations.